A strong immune system is the key to staying healthy and protecting your body from infection and illness. Our immune system is a very complex system of the human body. It recognises the cells that make up your body, and destroys germs and parasite as well as protect against disease and helps to co-ordinate wound healing process, cellular/tissue turnover, repair, and (re)building. The response to pathogens (a bacterium, virus, or other microorganism that can cause disease) is orchestrated by the complex interactions and activities by a large number of diverse cell types involved in the immune response. The innate immune response is the first line of defence and occurs soon after pathogen exposure. It is carried out by phagocytic cells such as neutrophils and macrophages and granulocytes. The adaptive immune response includes antigen-specific defense mechanisms and may take days to develop. Cell types with critical roles in adaptive immunity are white blood cells such as lymphocytes. Antigen-responsive stimulation of various cell types including T cell subsets and B cells all play critical roles in immune defence. To strengthen your immune system, you must address the needs of the systems in your body starting at the cellular level. 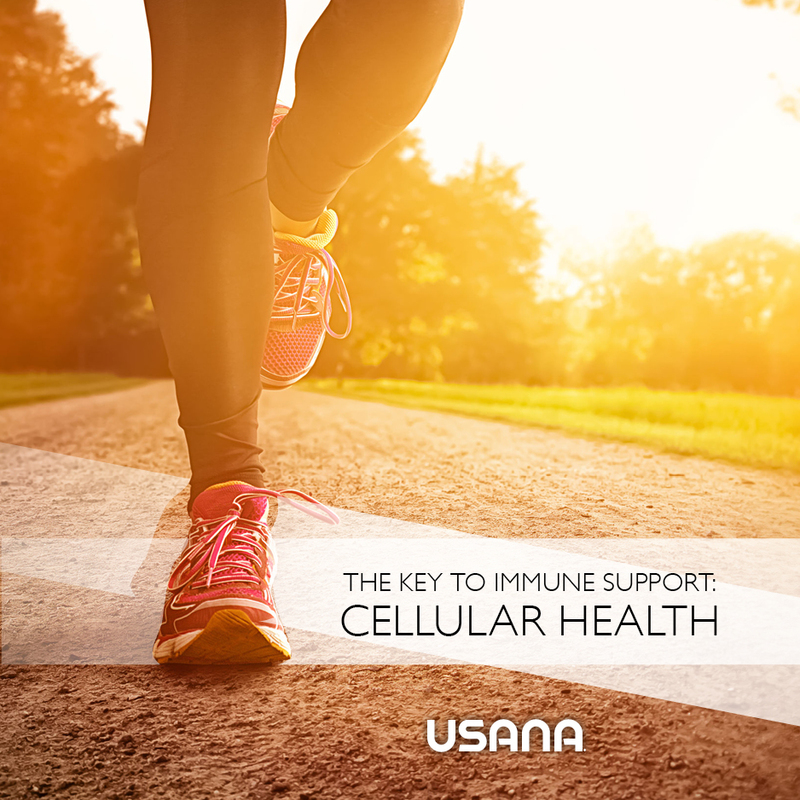 The cells in our body have the ability to bring in nourishment and rid of toxins. This means our cells need enough energy and nourishment to operate properly otherwise the cells become toxic and malnourished and when presented with an infectious organism, whether it is the virus, or bacteria, they won’t have the vitality to resist and you will get sick. Another strategy is to use supplementation such as USANA’s complementary trio to immunity which aims to improve immune cell function, protect against pathogens and support immune cells. The trio is made up of Proglucamune™, Proflavonal C™ and Poly-C™. These products combined support immune defence and sickness prevention..